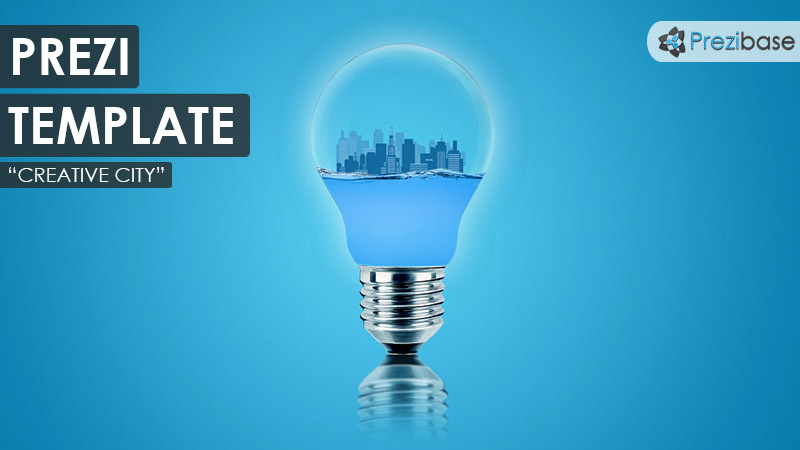 3D Prezi Presentation Template with a modern city skyline inside a light bulb. Illustrates a creative environment where ideas flow freely. Zoom around the blue skyscrapers, use businessman silhouettes and add your content anywhere. A good template for a creative Prezi related with ideas, innovation, motivation and creativity. This entry was posted in Best Prezi presentation templates and tagged big ideas, blue, buildings, business, businessman, cities, city, city in light bulb, creative, creativity, design, electricity, flow, ideas, innovation, light, light bulb, light bulb city, light up, motivation, night city, ocean, prezi template, prezi templates, silhouettes, sky city, skyscraper, think, water, water city, water world.